Type the formula in the first cell D3 and press Enter key to get the result, then use the fill handle. 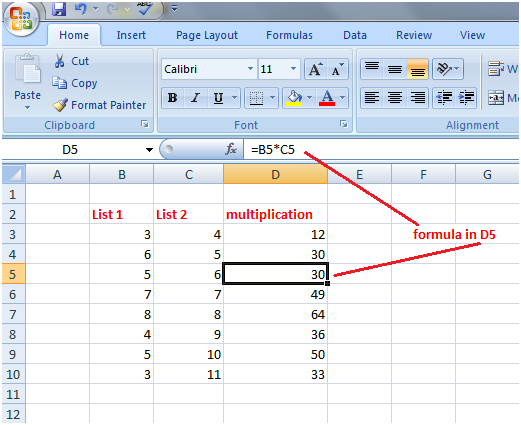 The formula will change automatically in the respective cells and all values of list 1 will get multiplied with respective values of list 2. This way you can easily multiply values of list 1 with respective values of list 2 but if you want to multiply all cells of list 1 with a single cell of list 2 such as C3 then it won't work.